We can supply and install Power Meters (Infocrank, and others) for Perth’s best prices. As well as the impressive Infocrank power meter we also have the ability to source multiple types of models, including Pioneer, Quark, SRM, Power tap & Stages etc. Contact Us for more information or if you wish to place an order. 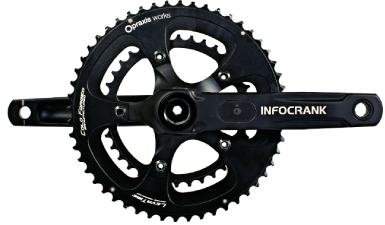 More details on this particular power meter can be found on the Infocrank Website. We will give you the best price for Infocrank purchases and all HCT & Exercise Institute clients receive SIGNIFICANT discount on Infocrank products. InfoCrank is a new generation of cycling power meters. Designed by Verve Cycling, the InfoCrank bike crankset sets new standards of accuracy, usability, and robustness. 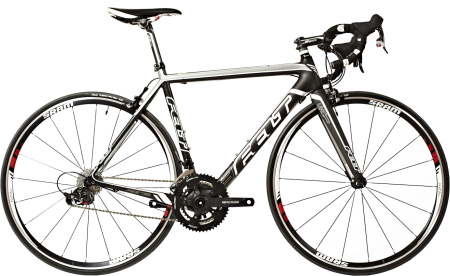 And because it’s built for the road cyclist, the parts are not just guaranteed for the lifetime of one bike, but for all the road bikes you will own. Accurate and reliable, robust and user friendly – this cycling power meter is integrated into beautifully designed crank arms and measures power independently on both left and right legs. Compatible with most road bikes and ANT+ bike computers (inc Garmin and Bryton). Setting up InfoCrank on your bike is straightforward and can be installed by our power meter fitting experts at the Exercise Institute Perth WA. The InfoCrank Power Meter uses a magnetic sensor to measure your cadence – that is, the rate of your cycling pedal stroke measured in revolutions per minute (rpm). The InfoCrank Power Meter measures the true force driving the bike forward. When you push on the pedals, it’s only the tangential forces that drive the bike forward. The rest is just noise. Power is measured in Watts (W). It’s the product of cadence (rpm) and torque (Nm). Knowing your power input is the single most beneficial cycle training aid any serious cyclist can have to improve performance and ride efficiently. What power is going in? That’s what moves the bike forward. Heart rate, speed, cadence, time, distance-all outputs. To get results from your cycling training, you need to know input power. That’s the info you need, and that’s what the InfoCrank Power Meter measures like no other. 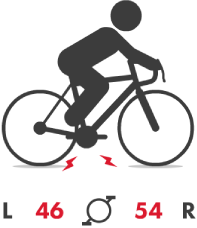 Improve your bike performance with accurate torque and cadence measurements in both left and right legs. This custom built crankset is engineered from the outset to house a high-precision power measuring system. CNC-controlled pockets placed in the load path control local strains. Strain gauges are placed to 0.1mm accuracy. Measuring devices transmit accurate, repeatable power figures while rejecting noise. 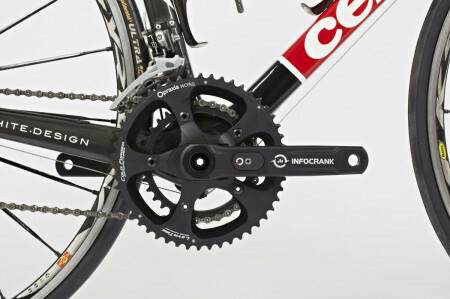 Though technically dense, the InfoCrank Power Meter is elegant and pleasing to the eye. We can also supply chainrings in compact or traditional depending on the model of your bicycle. Please Contact Us if you require more information or if you would like to place an order. More details on this power meter can be found on the Infocrank Website.